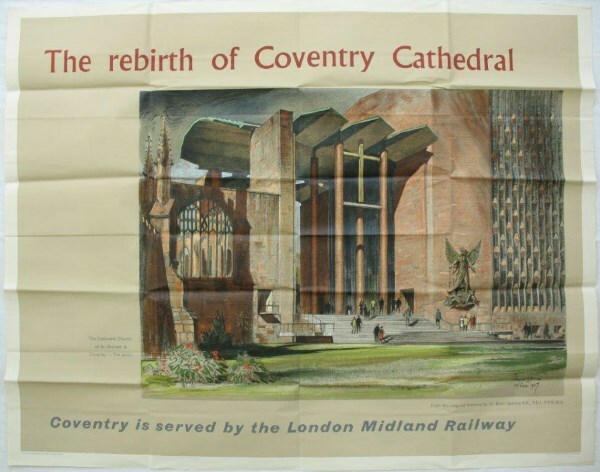 Lot 54 Q/R Poster 1961 BR "The rebirth of Coventry Cathedral" by Sir Basil Spence. The 1957 architect/artists' impression of how the new Cathedral entrance would look. It was consecrated in 1962. Excellent folded condition.